If you've been injured, it's important to consult our clinic right away and prevent symptoms from worsening. When you are hurt in an auto accident, the emotional trauma is devastating. The injuries can be even worse. Depending on the positioning of the body and the severity of the accident, any one of a number of physical conditions can be caused by impact. These can range from concussion, whiplash, upper and lower spinal injuries, hip injuries, and a myriad of others. Spinal injuries can be some of the most intense injuries from an accident, because the pain can be severe and long-lasting. Spinal injuries, depending on the location, can cause pain in other parts of the body, making the normal functions of daily life unbearably difficult. Drugs are of limited effectiveness, because the relief only lasts as long as the drug. Treatment by a chiropractor when you are injured can make all the difference in the way you feel. 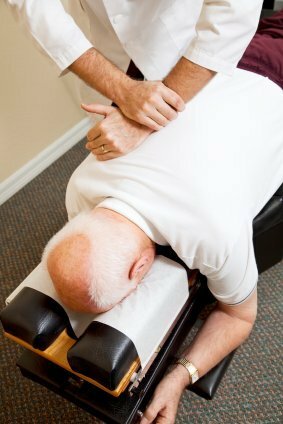 Chiropractors work on the nerves, muscles and joints, which are the very things which are most affected when you have an auto accident. Proper chiropractic care is a natural method, which works with the body to enable it to better heal itself. Massage, which is a part of chiropractic care, releases endorphins in the body, which can be very beneficial for the shock that joints and muscles receive after an accident. Massage helps to break up muscular scar tissue which often develops in the days after an accident, and helps to relieve stress. Dr. Jonathan McClaren is a licensed chiropractor in Portland, Oregon, who specializes in auto accident injuries. Our clinic, Cascade Spine & Injury Center, can treat your injuries effectively with massage therapy, stretch techniques and rehabilitation exercises targeted to the source area of your problem. Our chiropractic center includes advanced treatments, as well as state-of-the-art equipment, which can give you the relief you need. The earlier you receive treatment for injuries resulting from an accident, the better, research suggests treatment that is sought early for physical injuries produces a better outcome. Injuries that are left untreated in the body can result in chronic pain, reduced mobility, and in some cases even joint deterioration. Call us today to find out how we can help you overcome your injuries and pain through chiropractic care. We are the most trusted clinic for chiropractic care in Portland. Our goal is provide personalized patient care. We accept a wide range of insurance plans. However, if you don’t have insurance, we have still got you covered. We are more than happy to treat patients without insurance. Your wellbeing is of utmost significance to us.